Lost your passion for writing? You need a Magnum Opus. 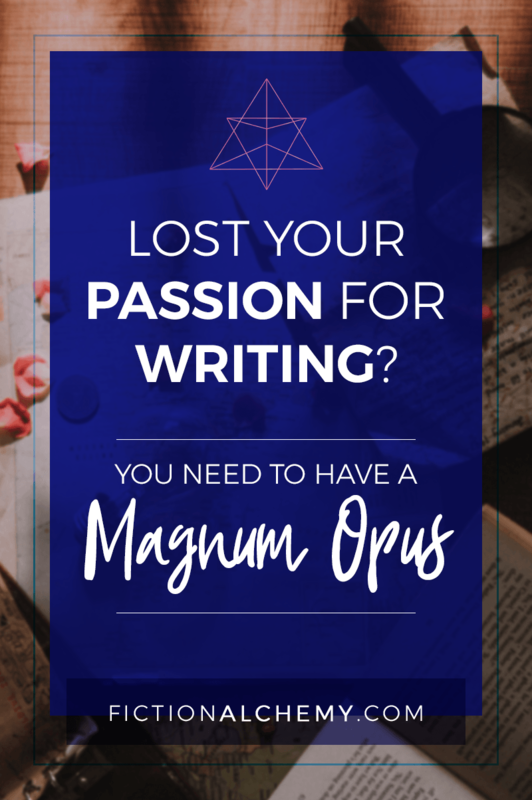 Have you lost your passion for writing? 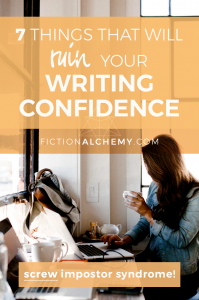 As writers, we go through periods of exuberance when the storyline falls into place or we think of the perfect line of dialogue—and we hit valleys of self-doubt, Writer’s Block, and sometimes even Writer Imposter Syndrome. But we keep writing. That’s what makes us writers. It’s what makes YOU a writer. 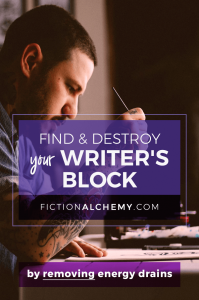 What do you do when the peaks of exuberance start to fade in comparison to the bottoms of Writer’s Block? How do you keep going, keep striving, when writing starts to feel like a chore? 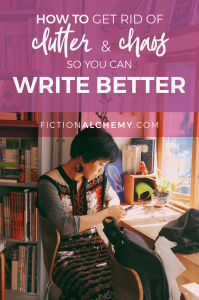 And more importantly, how can you make writing fun again, so it doesn’t feel like a chore? The answer is to make sure every book you write is—potentially—your Magnum Opus. What is a Magnum Opus? It comes from the Latin for “Great Work”. Latin: magnum, neuter of magnus, great + opus, work. Magnum Opus: n. The best, most popular, or most renowned achievement of an author or artist, representing his major life effort. So many writers lose their passion for writing. But a Magnum Opus, the ultimate creation of an Alchemist, can make sure it doesn’t happen to you. You’ve heard Alchemists tried to turn lead into gold and/or make the Elixir of Life from the Philosopher’s Stone. Maybe you even heard about those golems they tried to make. Records showing attempts at Alchemy go back at least to the first century when it was connected to Maria the Jewess (and for more super cool ancient women, check out Cleopatra the Alchemist, who invented the alembic, a derivative of which is still used today to make all those microbrews you drink after a long day of writing). These ancient Alchemists would sit in their laboratories burning things, heating stuff up, dissolving things, and recombining the ingredients, trying to find the magical recipe that would turn lead to gold, or make the Elixir of Life, the Philosopher’s Stone, and so on. While people certainly did try to transmute lead into gold and find elixirs of eternal life—including Isaac Newton, and Paracelsus, they were also real scientists, who contributed to the science we know today—it was often a metaphor for inner transmutation: turning your inner lead into inner gold. It was about transforming your spirit. Becoming the best person you’re capable of being. That is something we all want. To transform ourselves into the best writer we are capable of being. To overcome, if you’ve lost your passion for writing. Fun aside: Real, actual people have actually, really turned lead into gold. No joke. This ain’t magic, y’all. Okay, it takes a particle accelerator, so it’s not like you or I can do it, but it’s possible. The Magnum Opus was what those ancient Alchemists worked for. The Great Work. They devoted their lives to achieving it. Maybe some of them actually achieved that other version of Alchemy, perhaps even more difficult: Inner Alchemy. You deserve to achieve your own Inner Alchemy. 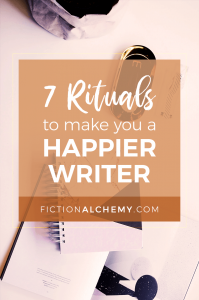 And as a writer, you deserve your own Fiction Alchemy. Will you make the commitment to attempt your Magnum Opus with every book you write? How can a Magnum Opus help if you’ve lost your passion for writing? One of my best friends from junior high onwards has been having something of a life crisis lately. He started and then quickly stopped online dating when he realized that he was looking for someone to fill a void in him that he should be able to first fill alone. Intuitive, isn’t he? As we were talking about this, I asked him what he wanted, and he told me he just wanted to be happy. When I asked him what happy looked like, he said him with a partner, enjoying life. And then he quickly said, “But that goes back to needing another person to be happy,” which he didn’t want. He asked me how I was able to be happy with myself first so that I could be happy in a relationship. I told him about my driving force. That’s your Magnum Opus. And if you’ve lost your passion for writing, it can be the driving force that gets you back in the game. What will your Magnum Opus be?